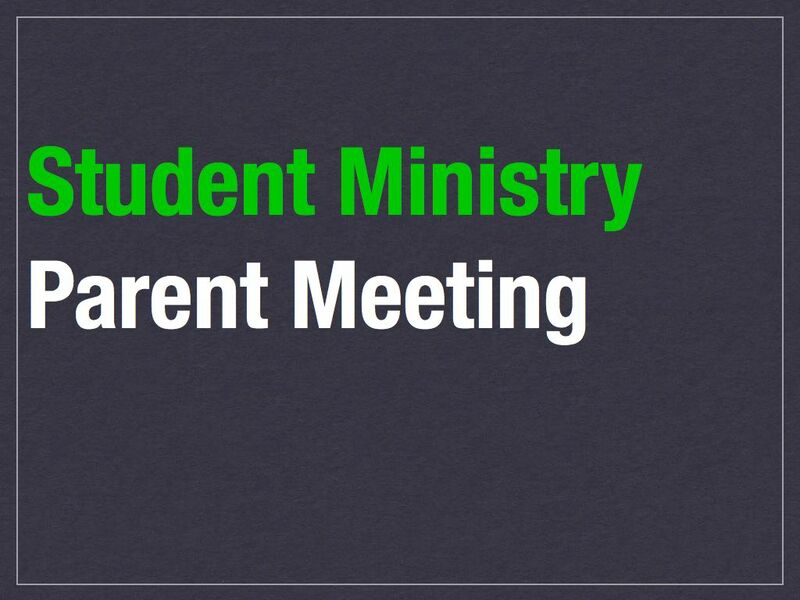 Most student ministries hold at least one parent meeting a year. We usually do one right before the Fall semester starts to share the vision for the year with our parents and go over the calendar with them. Today’s freebie is a parent meeting graphic and countdown you can use at your next parent meeting. The graphic can be used to promote the event as well as something to throw up on the screen before, during, and after the meeting. Also, the countdown is something you can start five minutes before your meeting to let parents know when you will start. Right click the links below and save the files so you can use them however you wish.